Check out the latest crop of 4K titles in the works. 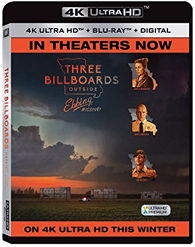 In an early announcement to retailers, several new titles are being prepped for 4K Ultra HD Blu-ray in 2018 from Paramount, Warner Bros., Universal, the BBC, and 20th Century Fox. 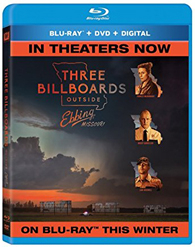 First up, 20th Century Fox has announced plans to release Martin McDonagh's Three Billboards Outside Ebbing, Missouri starring Frances McDormand, Woody Harrelson, Sam Rockwell, Abbie Cornish, Peter Dinklage, and John Hawkes on 4K Ultra HD Blu-ray and Blu-ray. Full specs, supplements, and an exact release date have not been announced yet, but pre-orders are now live. 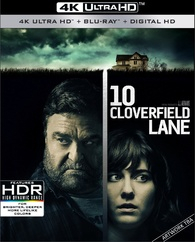 Paramount is set to bring Dan Trachtenberg's 10 Cloverfield Lane starring Mary Elizabeth Winstead, John Goodman, and John Gallagher Jr. to 4K Blu-ray on January 23. 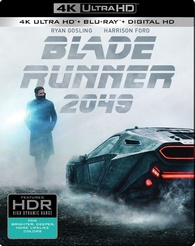 The disc will include 2160p video with HDR and a Dolby Atmos soundtrack, and supplements will likely mirror those found on the previous Blu-ray release. In addition, the studio is prepping Simon West's Lara Croft: Tomb Raider starring Angelina Jolie, Jon Voight, and Iain Glen for 4K Ultra HD Blu-ray on February 27. 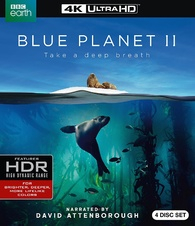 Exact specs have not been detailed yet, but the disc will feature 2160p video with HDR and supplements will likely be the same as those found on the previous Blu-ray release. 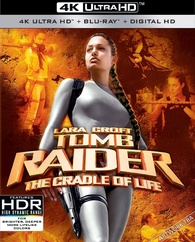 Likewise, Jan de Bont's Lara Croft Tomb Raider: The Cradle of Life starring Angelina Jolie, Gerard Butler, Chris Barrie, Djimon Hounsou, and Ciarán Hinds is also due to hit 4K Ultra HD Blu-ray on February 27. 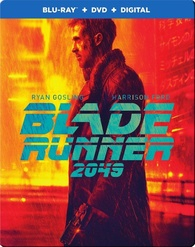 Exact specs have not been detailed yet, but the disc will feature 2160p video with HDR and supplements will likely be the same as those found on the previous Blu-ray release. 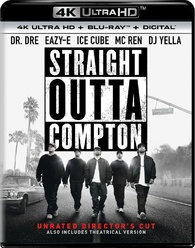 Meanwhile, Universal will bring F. Gary Gray's Straight Outta Compton starring O'Shea Jackson Jr., Corey Hawkins, Jason Mitchell, Neil Brown Jr., Aldis Hodge, and Marlon Yates Jr. to 4K Ultra HD Blu-ray on February 27. The disc will offer 2160p video with HDR and a DTS:X soundtrack. All of the supplements from the previous Blu-ray will also be included. 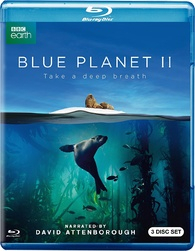 Finally, the BBC is preparing the nature documentary series Blue Planet II narrated by David Attenborough for 4K Ultra HD Blu-ray and Blu-ray on March 6. Supplements have not been detailed yet. You can find the latest specs for all of the titles listed above linked from our 4K Ultra HD Blu-ray Release Schedule, where they are indexed throughout January, February, and March.